Hilton is staying ahead of the competition by being the first hospitality brand to give guests digital control of their stays. Guests at more than 4,000 Hilton properties across 11 brands worldwide now have the ability to check in, select their rooms from detailed digital floor plans, customize their stays with requests and upgrades, and check out with ease—all directly from their mobile devices. By 2016, guests will also be able to use their smartphones in place of their room keys in most of the hotels. This digital ease and access are in response to travelers’ desire for greater choice and control in their hotel experiences. HiltonWordlwide.com featured more on this digital debut. This digital direction is nothing new for the brand. The company introduced its original version of digital check-in more than six years ago. 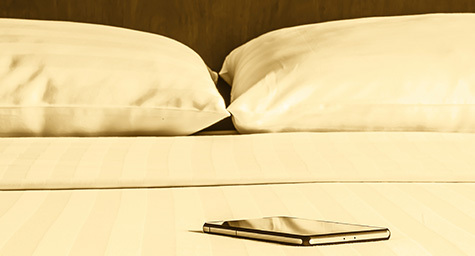 In 2012, Hilton released the first hospitality software application to let guests custom design their stays through their smartphones and tablets. Hilton is now striving to make additional digital enhancements about every six weeks. Check-in: At 6 a.m. on the day before their stays, guests can check in from their digital devices. Room Preference: At the same time they check in, guests can choose their rooms from hotel floor plans or inventory lists via their smartphones, tablets, or computers. Guests can view photos of rooms to make their selections. Personal Requests: Once the rooms are chosen, guests can make special requests or purchase upgrades to further personalize their stays. Mobile Room Access: Guests will be able to use their mobile devices in place of room keys by 2016. Until then, guests can quickly get their room keys at the front desk upon arrival since their Hilton HHonors will alert hotels of their upcoming stays. Check-out: Guests can easily and instantly check out without needing to visit the front desk. At departure, their bill will be automatically sent to their email address. Hilton is clearly aware that digital and mobile devices make an impact on travelers’ booking decisions. According to Tourism-Review, a major Google study found that travelers use digital devices both before and during their trips to research various details of travel. The study also showed that travelers used multiple devices for different travel pursuits, such as booking travel, searching for maps, and checking reviews. And more than 50% of leisure travelers relied on digital sources during their trips to research and book local activities. These high-tech travel trends are seen with both leisure and business travelers. Interestingly, Google found that leisure travelers mostly use mobile websites to book their trips, while business travelers prefer booking through apps. Apparently, both kinds of booking access are important to all types of travelers. All of these signs make it clear that travelers want more mobile access and digital convenience in the booking process and overall travel experience. Fortunately, hotel brands like Hilton are responding to their needs. But now more hospitality brands must follow their groundbreaking lead and start opening their doors to the world of digital technology. Discover strategies for savvy hospitality marketing. Contact MDG Advertising.